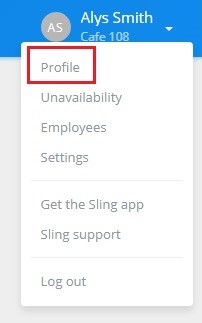 To make sure you have the most recent info in your profile, click your name at the top right of the screen and choose Profile from the options. Employees can also just click the Profile tab across the top of their screens. This will bring you to your profile details, where you can update your info and add a photo. Hover your mouse over the grey circle with your initials to access the links to add or remove your photo. Note that changing certain info like your email address will require you to verify your password in order to save the change. Certain information in your profile cannot be removed once entered. This includes your email and birthdate. Your email address is a requirement for access to your Sling account, so we must have one on file at all times. 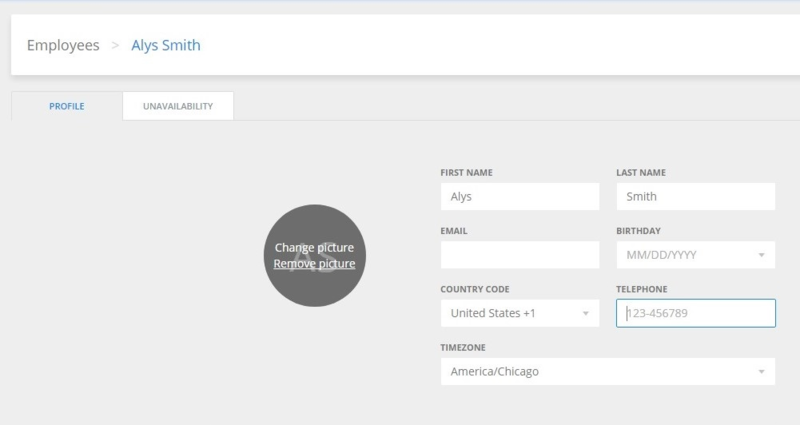 Your birthdate can be left blank, but once a date is entered, you cannot completely remove it. If you would not like your coworkers to know your date of birth, you can set it to a "dummy" date like 01/01/01. 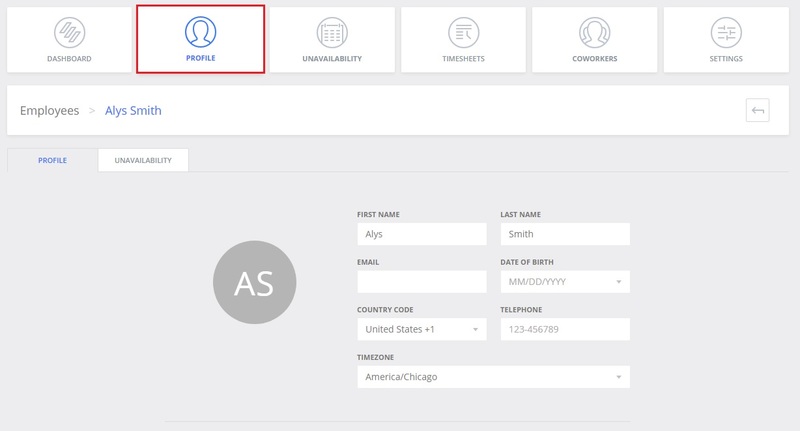 You will also see the details for any locations and positions you have been assigned to in your profile. These can only be edited by an admin or manager. Contact your supervisor if you have any questions about assigned locations or positions.